When pouring over the concepts of copyright and Fair Use, one phrase kept coming to mind: “For the exclusive use of J. Luecht.” The academic articles I have been devouring over the past few months had burned this into my memory – the ones I had purchased for class were laced with these exact words, and others accessed through our university always contained something similar outlining copyright rules. As students, we are investing time and money to become experts in a subject. We are consuming concepts from academics and industry professionals who have built careers out of researching information and presenting new ideas. Access to new information has the power to change one’s opinion on various topics and encourage political participation. But, if some information is only accessible to those who hold the keys, and the barriers to entry include economic situation and physical location, what is the cost of exchanging money for ideas? Consider the federal government’s recent investigation into the closure of some of Chicago’s public schools and programs following civil rights complaints . What does the creation of The Chicago Public School Resistance and #OccupyCPS have to say about the access to education within our nation? Whose voice does the government and school system represent, and who is being left out? We pay to access different levels of information via taxes, universities, after school programs, etc. Who are the gatekeepers to education? You bring up a point I’ve been chewing on for a while which has been eating at me for some time. You referenced how our scholastic papers have the name of the person who purchased them and that it states that said paper is for the exclusive use of said person. So…under those guidelines, couldn’t a teacher/academic instructor produce X copies for his/her classroom without there being any form of copyright infringement? 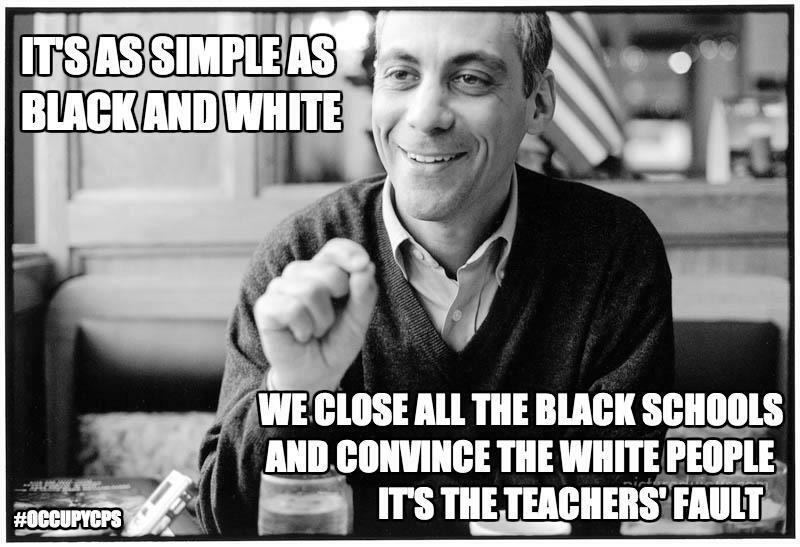 And if yes, why aren’t teachers doing so, instead making us shell out additional $$? It doesn’t seem logical. If I were an instructor, all required classroom readings would be readily available to my students without there being additional costs or the need to independently aggregate various materials from decentralized repositories.